The Ocular Nutrition Society (ONS) recently issued a statement suggesting a pressing need to educate the baby boomer generation about the role of nutrition in maintaining proper eye health. Supplements such as zinc, vitamins C and E and lutein are all vital in supporting aging eye health, and many American diets have baby boomers malnourished in these areas. The lack of these nutrients in one's diet could play a factor in vision deterioration, and is an important factor in practicing healthy elderly care. 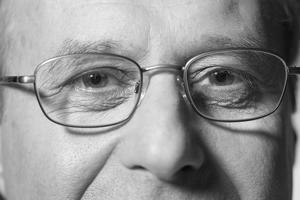 "Eye health is a significant, but under-appreciated, public health issue. About 35 million Americans age 40 and older have an eye disease such as age-related macular degeneration, cataract, glaucoma and diabetic retinopathy. That number is expected to grow to 50 million by 2020," said Jeffrey Anshel, OD, FAAO, and president of ONS. The Mayo Clinic suggests taking a vision-based dietary supplement, such as a multivitamin containing the aforementioned nutrients, in addition to long-chain omega 3 fatty acids, as an effective solution to replace the deficiencies. Experts also believe developing educational initiatives for baby boomers to learn healthy senior care practices is an important step in eye disease treatment and prevention.